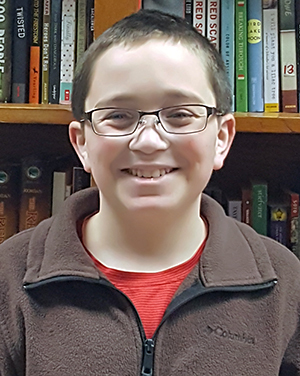 Blog :: Congratulations Lance W. -- January Star of the Month Winner! :: Read Naturally, Inc.
Lance is new to our district this year. He is a very quiet and reserved young man who struggles with his confidence. He wants to do well in school and tries very hard at everything he does. When he started our reading program, he was nervous to read aloud, would ask to start over, and would click on unfamiliar words without even trying. His comprehension also struggled due to his fluency issues. After 3 months of work, he has become a rock star! He enjoys the program, he is not hesitant to read aloud, and he attempts words before clicking on them. He does not feel the need to ask as many reassurance questions and he continues to meet or beat his hot timing goal. I appreciate his hard work and his amazing improvement! It is very exciting to see how his hard work in this program has made him a better reader.